Columbia River Marine Assistance, your boat towing headquarters. CRMA Season Pass - Year-round coverage! Having a problem right now? Need your boat towed? Give us a call at 503-349-4401 for fast, safe, professional service at a reasonable cost. Many times your boat insurance company will reimburse you for our services. Shopping for a boat? Searching the classifieds for your perfect craft? The best option to add to any boat purchase is your $99 Season Pass. We all know that boats are not as reliable as the family car and it's difficult to walk home when the boat has a problem. We provide on water assistance for Sail and Power boats, Jet Ski's, Personal Watercraft (PWC) and we can assist nearly any vessel. Our area of operations is on the Willamette and Columbia Rivers near Portland and Vancouver. Be sure you don't get caught without a towing and assistance plan this season. Prepay for all your marine assistance and towing needs for an entire boating season. The best deal on the river! Call or click Season Pass for more details and to sign up. Be Prepared On the Water! If you need professional boat towing or marine assistance around Portland, Oregon, on the Columbia River or Willamette River, give us a call at 503 349 4401. 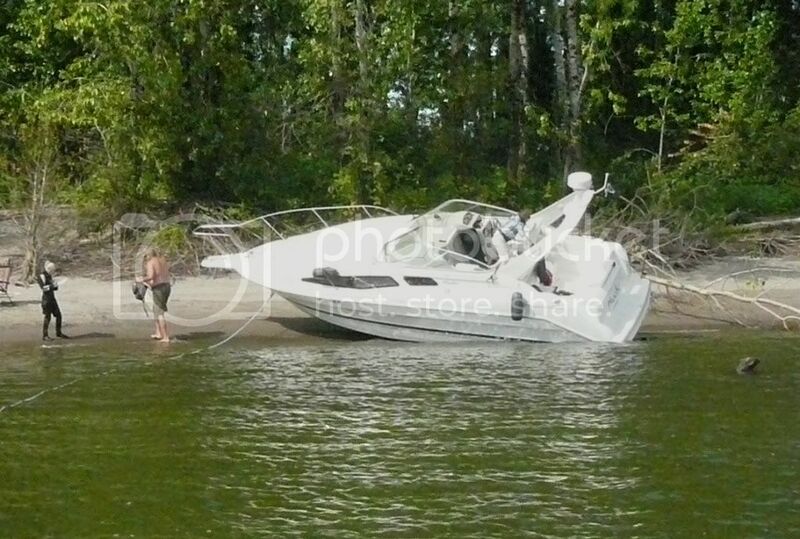 Dead Battery, out of gas, or stuck on a sand bar? We can handle these things and get you back boating ASAP. We service sail and power boats, Jet Ski's, Personal Watercraft (PWC) and can assist nearly any type of vessel. Do you want the best value around for a comprehensive prepaid boat towing package? after 9 years, still only $99. While our competition has raised prices many times, increased their towing package price by more than 25% and will even charge you for dock to dock towing, we are still the same price and provide faster, more comprehensive service. Don't get sucked in by fancy, expensive advertising. For the best local, independent boat towing, be sure have a Season Pass and have us on your team. "Like" us on Facebook to see daily updates on our page www.facebook.com/boattow. Each year during Labor Day weekend, Bonneville reduces the flow in the Columbia River. This often leaves boats stranded on the beach. Be prepared for this by anticipating a 2 to 3 foot reduction in the water level. Also keep in mind that the area you drove over yesterday without running aground may be too shallow today. Be sure to "Like" us on Facebook to receive updates on weather, boating conditions and our job log.